We are young, but we are known for so much more than being young. We carry a passion and a hope for what is to come and what should be. MCC Students is more than a gathering of students, it is a movement birthed out of Maryland Community Church with the goal of helping students take one step closer to Christ. and serving in His CAUSE. We believe that MCC Students could be the most influential force in our schools and community, so we are set on challenging every student to take their next steps in their faith journey however the spirit leads. We do this through weekly small groups and worship, weekend worship experiences, serving opportunities, and life changing special events and retreats for students in grades 6th-12th. Here at MCC Students, small groups are the life blood of our ministry. We believe that life is best done in circles and not rows. By this, we mean that we are a big believer in community and that faith best grows when done with other people. Our identity is that: We are a COMMUNITY of STUDENTS following CHRIST and serving in HIS CAUSE. Each week students gather for an intentional time of worship, a weekly large group message, and then we split into gender and grade level for small groups. We believe we have the best assembled team in student ministry! They will work with your student to help them take one step closer to Christ. Don’t hesitate to contact them if you have any questions or concerns! Our ministry could not run without the selfless service of our many adult team members. We have the best group of adult team members who service each week to help students take their next steps in their faith journey. We have team members who serve once a month, once a week, only for special events and so forth. We are always looking for more team members to join the cause of leading students one step closer to Christ. If you are interested or know someone that we should reach out to, please click here to start the process! The front door for middle school students! This is our time each Sunday to come together as a community to get to know each other and the God we serve. Various media are used to help us engage during our time together: music, videos, skits, games, teachings - whatever helps us take steps closer to Jesus. After the lessons we go into small groups and then into the sanctuary as a group to worship with the rest of MCC. We meet at 9:30 am and 11:15am in the Student Center at HWY 46 [At 12 PTS campus we encourage students to serve at the 9:30am service and attend the Sunday Student Service at 11:15am] Sunday mornings at MCC is a great opportunity for students in 6th-8th grade to invite their friends to church. Wednesday night LIVE is a great way for high school students (9th-12th grade) to get connected at MCC! Our vision for WNL is that students would be connected to God’s Word, be connected to other believers and connected to a caring adult leader. Students engage weekly in small groups, student led worship and grappling truths of God’s Word. Join us weekly on Wednesday from 6:30pm - 8:00 pm at the Highway 46 campus. 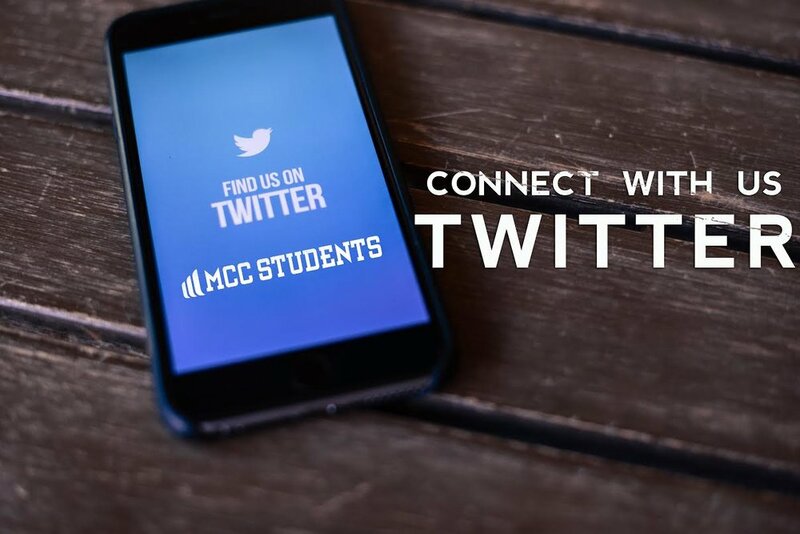 - send a text to 40404 with the message 'follow @mccstudentmin' (without quotes) to get text updates about the latest in MCC Students. A four-week Easter series about Jesus’s final, most important words He shared with His followers while on Earth.